Carl Westerdahl, son of Carl Arnold and grandson of Carl Gustaf didn’t have hobbies. He had passions, and he embraced each one with curiosity and enthusiasm. 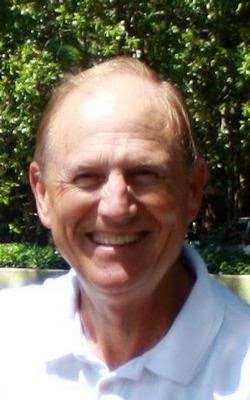 History, opera, architecture, NASCAR, birding, railroading, classical music, photography, travel, art, sailing, gourmet foods and college and professional sports were some of Carl’s numerous and wide ranging interests. Well-informed in each of these areas, he delighted in sharing his knowledge with others. Carl not only researched each of his areas of interest, but he also was able to remember much of what he learned. Remarkably, this Renaissance man could recite names, dates and places in a casual discussion with others or in a classroom setting. 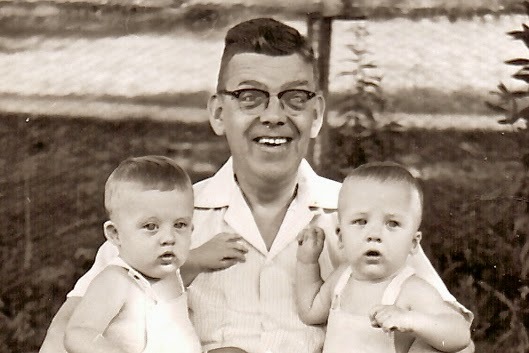 Carl mourned the death of his first wife, Mary, and his son, Eric, but he dried his tears and reveled in his love for his new wife, Susan Clarke and the accomplishments of his children, Maura and Carl, their spouses Tom and Karen, his daughter-in-law, Martha and his graddaughter, Elizabeth. Carl also treasured his many friendships with others from college presidents to the local barber, and he rejoiced in interactions with friends and family. In his fight against cancer which took his life too early, he was a warrior. If it depressed him he rarely showed that face to others, and he rarely felt sorry for himself or felt life had cheated him. 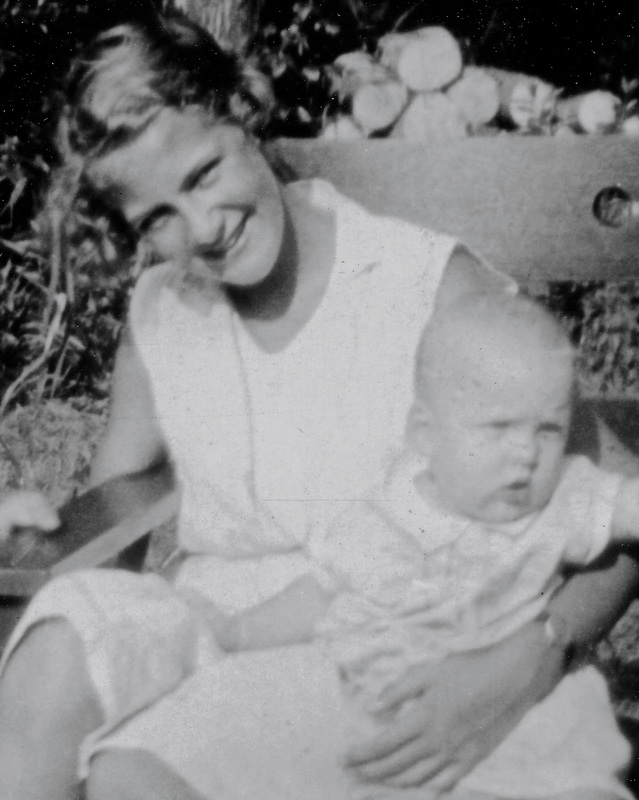 “I warm’d both hands before the fire of Life..."
Her name was Eleanor, but when she was a teenager and her nephew, Bruce, was a baby, he couldn’t say “Eleanor.” He called her Lolly, and the name stuck. Aunt Lolly was Grandma and Grandpa Westerdahl’s youngest child, and she was doted on by her sister Gert, and her brothers, Carl and David. Lolly and Carl were especially close throughout her life, a life cut short by cancer at 62. 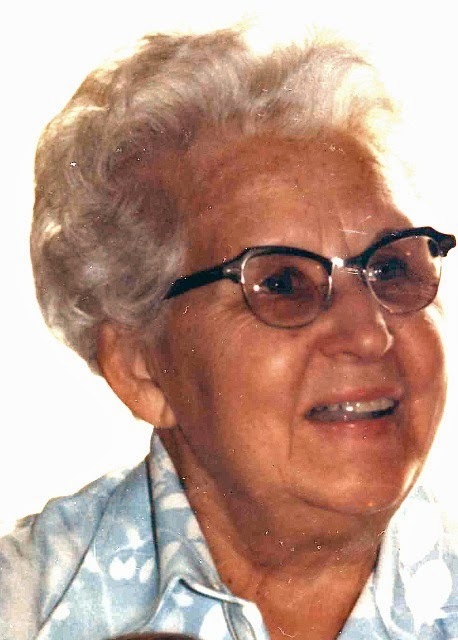 Lolly was a happy, loving woman of faith whose studies at the Nursing School at Bridgeport Hospital were interrupted while she nursed her mother who was dying of cancer. When Lolly graduated, she was at the top of her class. Lolly met the love of her life, Ronald Carlson in Shelton, CT at the Sunday Services where her father a was a Pastor and Superintendent at a home for Swedish Senior Citizens. They were married by Lolly’s Father in an outdoor service on May 11, 1940, and two year later, they welcomed Judy Elizabeth to the family. Two years after Judy was born, they welcomed son, James Ronald. Aunt Lolly laughed easily and often, and with her sunny disposition she was always happy and cheerful especially when she was able to enjoy her extended family. Her joyful nature, her skills and her compassion for those who were ill made her an exemplary nurse and a beloved companion for Ronald and her family. She especially loved her role as a Grandmother to Kristen, Jill, Scott and Gillian. Carl was 100% Svenska, a second generation American born to parents who immigrated from Sweden and became citizens. He was descended from Vikings, but his only extended sea voyage was on an oil tanker as a cabin boy. Later, as a U.S. Navy Seabee in World War II, he was stationed in Bermuda, his only other trip out of the country. His Viking spirit and sense of adventure were always part of Carl’s personality. Wherever he lived, he explored and found all the curious and peculiar features of back roads or city streets. Until his eysight failed, Carl was an avid reader of newspapers, biographies and travel books. A large atlas and a drawer full of maps was always by his side, and he knew what was in them. A loving family man throughout his life, Carl never used profanity. He never gambled, and he used alcohol responsibly. He loved cigars and he loved his pipe. People liked Carl. He had a warm smile, loved to make conversation with friends and relatives and loved to debate politics, particularly if the discussion was with a liberal Democrat. Carl was devoted to his wife, Elizabeth, and he always supported his sons, Carl and Bruce in all the activities in which they were involved. Elizabeth Houck was three years old in 1911 when her Mother, who was only twenty-seven at the time, passed away. Standing at the graveside with her sister, Marg and her brother, Bud was one of her earliest memories. A short time later, the children had a new stepmother, Effie, and at first, their relationship was not warm and fuzzy. Effie was a stern disciplinarian who often made the children get up as early as 4:00 a.m. to do their chores before school. It wasn’t until Elizabeth graduated from high school that she bonded with her stepmother. Carl Westerdahl and Elizabeth were married in 1930, and she and the man she called Arnold were married for sixty-four years. After he died in 1995, Elizabeth lived alone for the next fifteen years involved in her life-long hobby, reading, including the Bible which she read from cover to cover . . . twice. Throughout her life, Elizabeth was fastidious about her personal appearance and anxious about the image projected by her family. When in public, she was well groomed and well dressed, and she expected as much of her family. Elizabeth was a good cook, who particularly enjoyed large family dinners where the results of her expertise in the kitchen were admired and enjoyed. One of the secrets of her culinary skills was a generous amount of butter and cream in many of her dishes, but despite those risks to good health in her own diet, she lived to be 101 aided by good genes in those who preceded her. Elizabeth Houck Westerdahl had a stroke in January of 2010. For the next five days, she smiled and laughed with those who loved her most, then she died quietly in her sleep content that she had lived a long and satisfying life. For most of his life, Grandpa Houck was a baker, and for many years he was in charge of Massmer’s Bakery in Hanover, Pennsylvania. He worked over the bakery store in a room filled with rising bread dough in long large troughs. Grandpa was an avid fresh water fisherman, and he and Grandma would bottom fish in a nearby lake or creek using a mixture of corn, bread and a stinky cheese like Limburger. They would sit all day and watch four rods resting on forked sticks stuck in the ground. Typically, they caught bullheads or suckers, and the biggest fish they ever caught was a sucker that filled their bathtub! Like the Pennsylvania German he was, Grandpa loved his beer, and he drank a whole quart every night of his life . . . until the price went up during WWII. That’s when Grandpa told the distributor what he could do with his beer, and he never touched it the rest of his life. Grandpa had asthma, probably the result of breathing flour dust in the bakery for many years. Despite difficulty breathing, he smoked cigarettes that he rolled himself with Prince Albert tobacco. An atomizer was always nearby and he used it often. Grandpa loved to watch professional wrestling on television, and he would argue passionately that everything about it was authentic. In 1903, Grandpa Houck married Elsie Pearl Clopper, a descendant of Cornelius Jansen Clopper who came to America around 1652. When she died at age 27, Grandpa married Effie Shuey who was previously married to Bernard Wildasin and had a son named Laverne. Grandpa’s Mother was Mary Alice Eyster, a descendant of Johan Jacob Eyster who immigrated to America in the early 1700s. Johan’s son, Christian, fought in the Revolutionary War, and it was Christian who enabled Elizabeth, Grandpa’s daughter and Bruce’s Mother, to join the Daughters of the American Revolution when she was 100 years old. Very few families who emigrated to America can trace their lineage back to the Crusades of the 10th and 11th centuries. The roots of the Westerdahl/Houck families go back that far. Bruce’s Great Grandmother was an Eyster, and she was descended from Johan Jacob Eyster who came to America from Germany in the early 1700s. Three generations later John Eyster, married Elizabeth Emig whose mother was a descendant of George Spengler, born in 1150 in Wurzburg, Germany. George Spengler was the cupbearer to Godfrey, the Prince Bishop of Wurzburg. Cupbearers were officers of high rank in royal courts whose duty it was to protect royalty from poisons, plots and intrigues. In May of 1189, George Spengler accompanied Godfrey as he marched in the Third Crusade led by Frederick Barbosa, the Holy Roman Emperor. 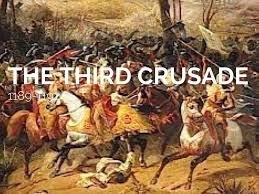 The goal of this massive force was to reclaim the Holy Land from the Muslims. Unfortunately, Barbosa drowned in a river in southern Turkey, and the army disintegrated. Those who did not give up moved on to Antioch in Turkey. In 1190, both Godfrey and George Spengler, were victims of the plague and were buried at the Cave Church of St. Peter in Antioch now referred to as Antakya. Chapter Ten: We're Goin' Steady!